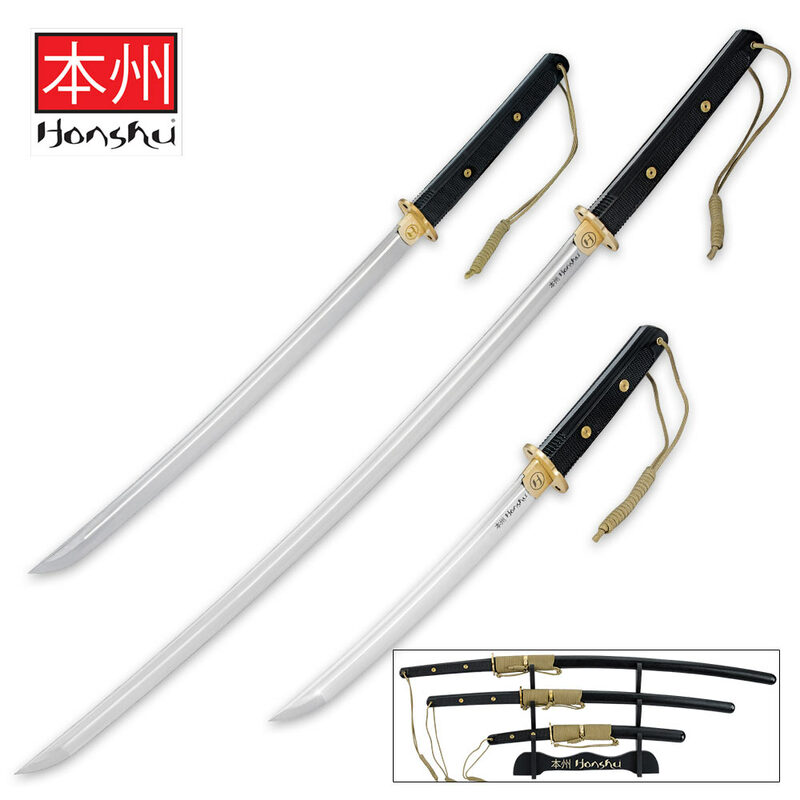 Stand measures 13" x 13"
Own all three of these best-selling Honshu tactical blades with this stunning collector's set! This is the ultimate samurai warrior sword set, including Honshu's modern interpretation of the three traditional Samurai blades: the tanto, wakizashi and full-size katana swords. Each one features a full-tang carbon steel blade that is razor sharp, polished brass accents and individual matching blade scabbards. 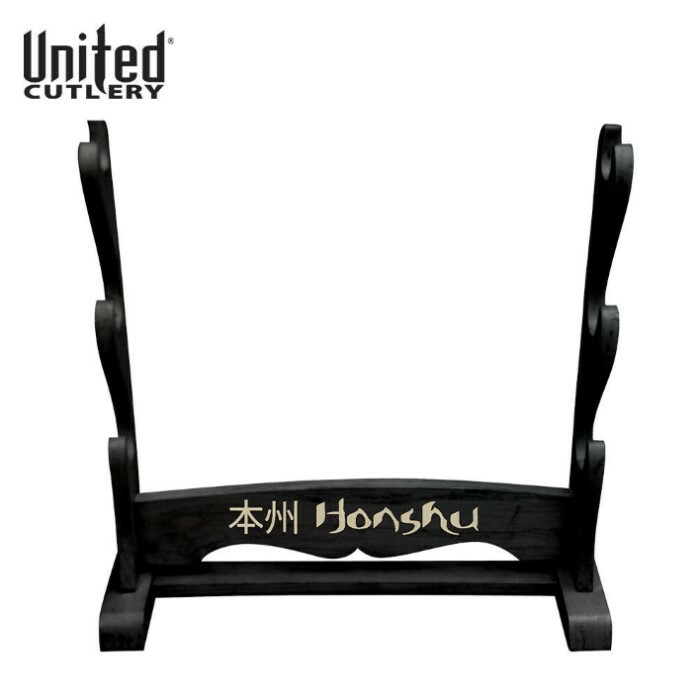 Showcase this stunning set with the custom-designed Honshu three-tiered display stand.